There’s an abundance of fuel companies that sell their customers on family values. But at Great Valley Propane, we live by these values every day. In the summer of 2016, we entered the Maryland market and how offer propane deliveries and tank installs or removals to: Harford, Baltimore, Carroll and parts of Frederick Counties. Long-time Maryland resident, George Amos, leads our Maryland team. He oversees propane tank installs and removals from start to finish and is a great go-to to answer questions regarding propane usages and safety procedures. 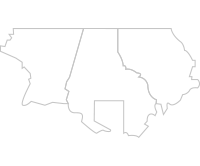 We are committed to offering competitive prices and stand by our NO-FEE-GUARANTEE motto. That means that you won’t be charged those miscellaneous delivery or hazmat fees when you order from our company. You will simply have to pay the price per gallon quoted to you. This comes to a surprise to a lot of our new customers, because many people don’t realize that those extra fees can add up to about $20-$25 each delivery, if not more. Committing to our no delivery fees practice was one of the first things that our owners, Bud Haly & Ryan McCabe, decided to do when they thought about entering the propane business ten years ago. We are proud to still stand by it to this day. Our number one priority is putting safety first with all of our customers. Every new client receives a free safety check before their first GVP delivery. Your family’s safety is our top priority, so offering this free service is something that we feel very strongly about. Our automatic delivery customers benefit from our Constant Comfort Guarantee, which we pride ourselves on since it is the first of its kind in our industry. It is our promise to always stay on top of our automatic delivery customer’s delivery schedule and make sure that they never run out of fuel during the heating season (which runs from October 1st until April 30th). 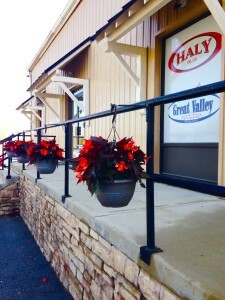 We like to treat all of our customers like friends at Great Valley Propane. 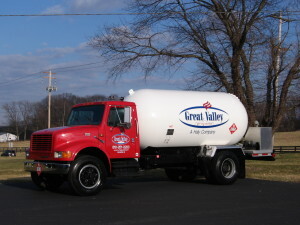 So, when you refer one of your friends to Great Valley Propane and they sign up for automatic delivery, you will both get a $100 credit on your account. You can see your $100 credits stack up by telling more than one friend, which is something a lot of our customers like to take advantage of, to help them save big time on their heating and cooling bills. Simply, fill out the form below to refer a friend and you will receive an email confirmation once the credits have been applied.